I saw this question about homes zoned for Chiles High School on a forum the other day, and before I could answer it, another forum member pointed them to the Tallahassee Real Estate Website. How cool is that! Apparently, some people think Chiles is the best high school in town, but I can tell you as a true red-blooded Leon High School grad, there are those of us with different opinions! My daughter now, and my sons later, are Leon Lions. Would people like direct links to sort by school zones? 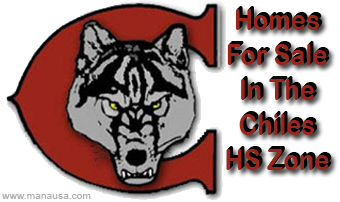 For example, you can find all 364 homes for sales in the Chiles High School zone with the click of a single link. Is this of value to our readers? As far as home values go, the sales of homes zoned for Chiles High School looks good. Values are moving contrary to the rest of the market (though this is only comparing sales through June each year, and year end numbers might show a different trend). I hope you enjoyed our report. If you would like to see more links and reports that are based upon school zones, let me know by commenting below. If we have enough requests, we will dedicate some of our future reports to the sale of homes zoned for Chiles High School (and others as well! ).